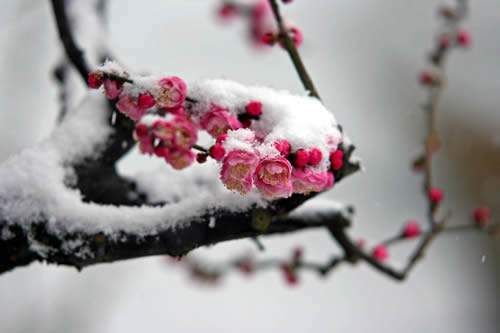 Pine (sōng 松), bamboo (zhú 竹) and plum (méi 梅)have always been regarded by Chinese people as the most beloved plants because they all thrive through the cold-winter days, just like friends who cherish the same ideas welcoming the advent of the spring together. For this very reason, they are called “ Three Friends in Cold Weather (suì hán sān yǒu 岁寒三友)”, symbolizing the noble characters esteened and pursued by Chiese people. 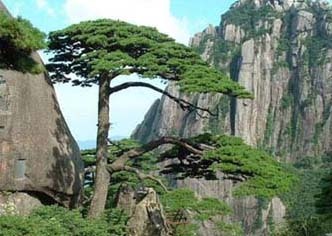 Pines are ever-green trees with strong vitality. They flourish even in cold winter, for this very reason they are honored with a character of strong wil. However, they are more generally regarded as the symblo of lonevity among the masses. Bamboo survives and fourishes as usual in the cold wind when the day of cold Dew arrives, while many plants are withered. 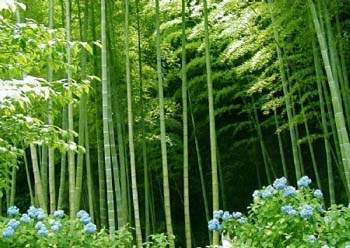 Because bamboo has hollow joints and is upstanding, it is gifted with characters of inflexibility and modesty and is honored as a “gentleman”. 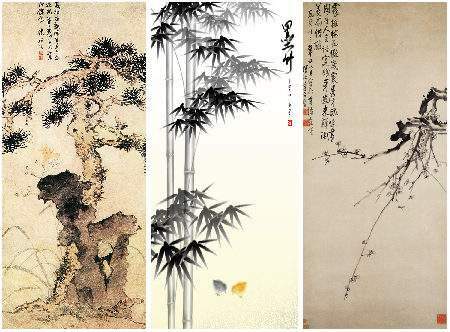 While Chinese have the folk custom of firing the bamboo cracker to break away from the old and evil, bamboo is also regarded as the symbol for security and auspice, as shown in the traditional decorative paintings. The plum is one kind of the famous flowers of China. They are appreciated for their nobleness, purity and modesty which encourage people to improve themselves. Therefore they have always been cherished and extolled by Chinese poets in the past. Plum are also characterized as the advent of good news. Stories about plum and its meaning have been widespread for a long time.